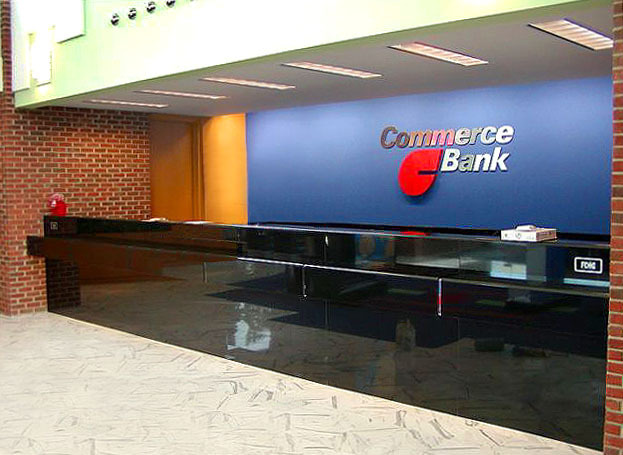 Following a strict pre-approval process, Commerce Bank retained ICS Builders as general contractor for the bank’s expansion in the Greater New York area and New Jersey. 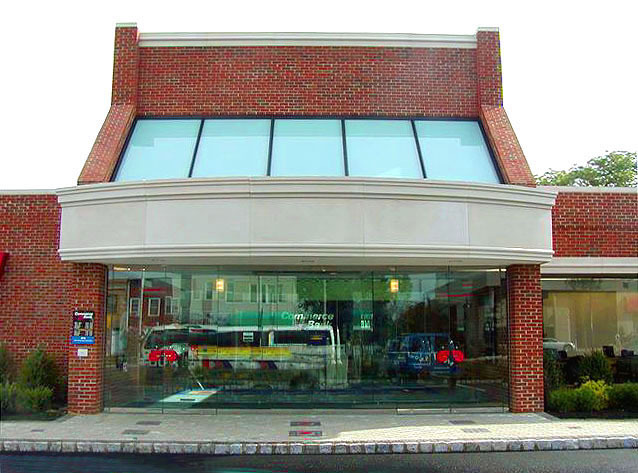 To date, the ICS team has completed three turnkey projects located in Norwood, Roseland, and Secaucus. Each branch follows the design template that calls for a 4,200-square foot, light-gauge steel frame building with a brick veneer exterior wall. The one-story buildings feature double height atriums. ICS was responsible for construction of both the base buildings, including foundation slabs and steel structures, and interiors. 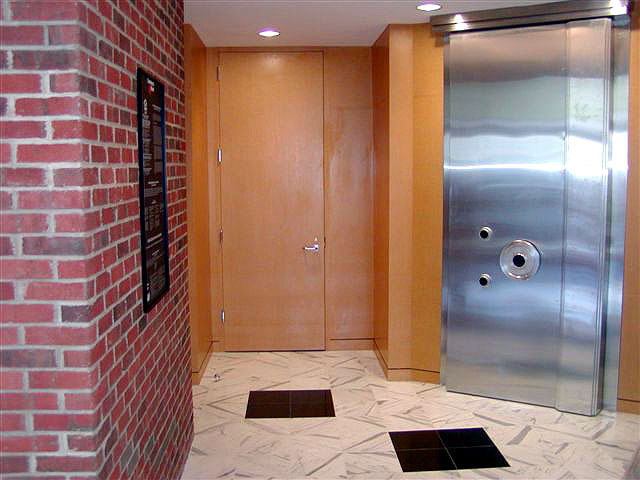 The bank’s high-end interiors feature marble and carpet flooring; black granite counters; exquisite custom millwork; wall paint; wallpaper murals; and intricate drywall elements such as soffits, fascias, and barrel-vaulted ceilings in the upper atriums. 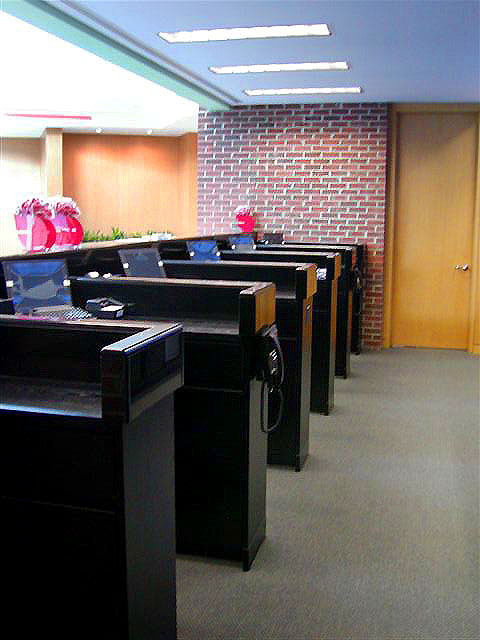 Each of the bank branches is equipped with six teller stations, private banking areas, and drive-through windows. 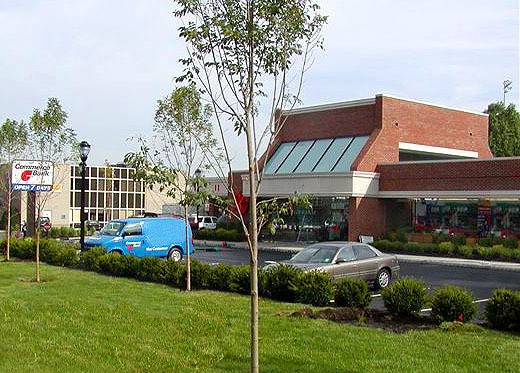 The team also installed all MEP and security systems, and provided the site work, including landscaping, outdoor signage, parking areas, and driveways.